Xiongwen He is the Deputy Area Director of the Spacecraft Onboard Interfaces Area. Xiongwen He has been working in China Academy of Space Technology(CAST) since 2006, where he became responsible for the development of on board data handling software for spacecraft, such as the onboard computer operating system and application software of the TG-1 manned mission. 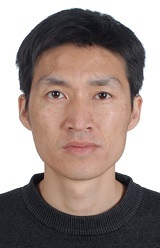 Xiongwen He has been doing research on SOIS recommendations for more than 10 years, and leading several research projects on spacecraft avionics system software, space network, standardization of space avionics system protocol, etc. In 2012, he was sent to Surrey Space Center as a visiting scholar for half a year. After that, he chaired a working group which is in charge of defining service and protocol architecture, and software architecture of next generation avionics of CAST，which adopts many CCSDS recommendations, especially SOIS recommendations. With his leadership, the software architecture has been implemented and verified in an avionics system prototype in 2015.